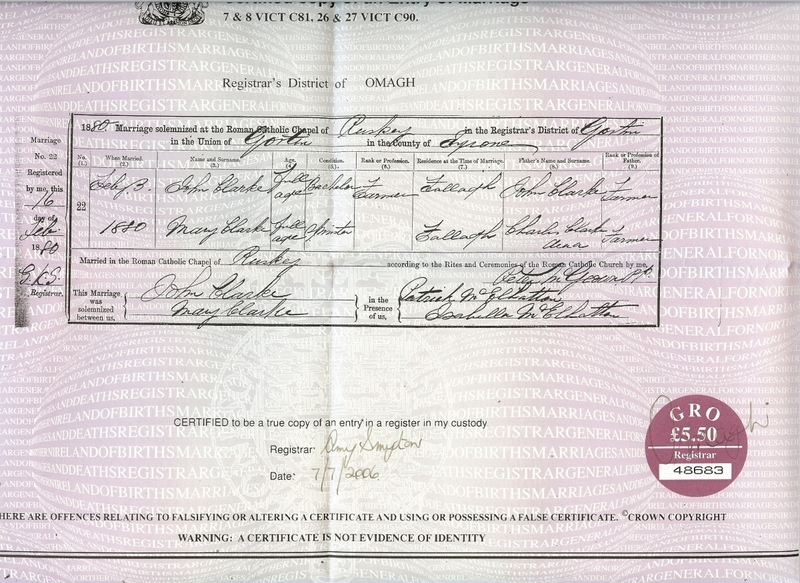 Per their 1880 civil marriage certificate my great grandparents, John and Mary Clarke, shared the same surname and were living in the same townland. The newly indexed Roman Catholic records below supplied more information as to their relationship as third cousins. Both traced to a common great-great grandfather. 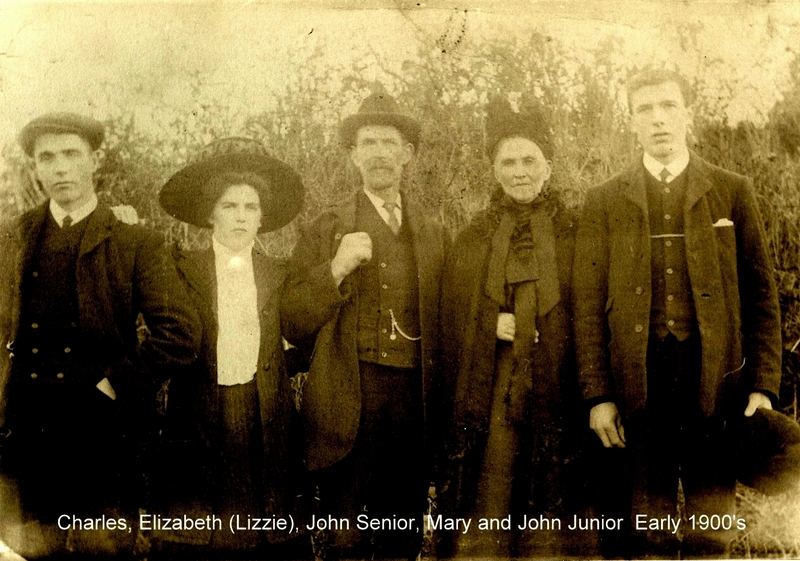 John and Mary are recorded bottom left.. [Tuesday] February 3, 1880. Close-up of dispensation by Dr Kelly. Marriage dispensations can prove particularly valuable to the family historian. Under Catholic canon law, a number of impediments to marriage may be dispensed with or forgiven by the bishop, including relationships within the fourth degree of consanguinity (blood relationship) or affinity (relationship by marriage) as well as spiritual relationships such as a godparent. In addition, if an individual came from a residence not within the diocese, a dispensation was required. 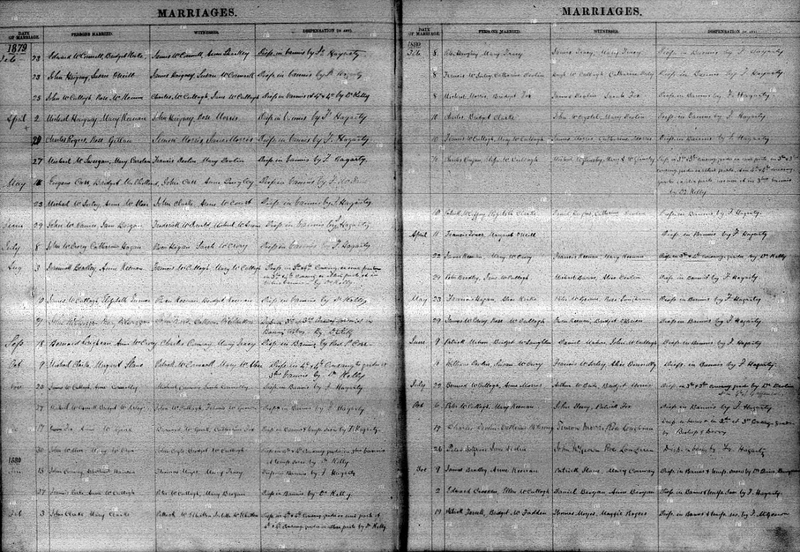 A marriage dispensation record generally outlines the relationship of the individuals involved, in many cases extending backward into the third or fourth generation (to a common great-grandparent), with extensive genealogical data. Relationship by affinity came through re-marrying a member of one’s late spouse’s family. Consanguinity, or blood relationship, was to one’s own cousins, etc. Example: Consanguinity Dispensation 3rd & 3rd degree for 2nd cousins to marry. In Canon Law, the ‘degree of relationship’ is the number of generational steps to the common ancestor, from husband first, & then from his wife. So, from the groom to his father to his grandfather to his great-grandfather = 3. Thus Dr. Kelly’s dispensation for John and Mary Clarke recorded as 4th and 4th degree revealed they were third cousins who shared a common great-great-grandparent.